Ronnie Coleman - Fall of the Mighty? HomeSportRonnie Coleman - Fall of the Mighty? Ronnie Dean Coleman, a former American professional bodybuilder with a record eight consecutive Mr. Olympia titles, is arguably one of the best bodybuilders ever. Apart from accomplishing this incredible feat, Big Ron, as he is fondly referred to in the bodybuilding industry, has entered his name into the record books by winning 26 times as an International Federation of Bodybuilding (IFBB) professional. He is reportedly worth $10 million and his stunning physique has seen him to 8 consecutive wins as Mr. Olympia from 1998 on. He is a resilient man mentally and physically. Although his lifestyle was extremely dangerous and unhealthy, he chose that sport as his path and deserves all the respect he earned from it. But, he pushed past what his body was built for due to ignorance and with the help of exogenous anabolic steroids. Bodybuilders today have learned from Ronnie Coleman and hopefully will realize and learn from his mistakes. Now, let’s read his lines once again. Don’t you find that it has a 2 sided view? Well let’s talk about that then. We’ll also be finishing up the answers to the questions which he was asked by the end of this article. In order to become such a great we can guess the amount of hard work and dedication he has put into, let’s take a look into his workout routine. In order to build strength and gain muscle mass, Ronnie Coleman followed the “power building” approach to training. At the beginning of his career, he participated in competitive power lifting that contests the dead lift, bench press, and squats. Therefore, the training he received was different to the conventional training methods of other bodybuilders. Unlike many bodybuilders, Coleman prefers using very heavy weights with low repetitions. Instead of doing machine exercises, he focuses on using free weights since it helps him improve his range of motion and maximize flexibility. He trains very hard for six days a week and dedicates a high percentage of exercises for all the muscle groups. The main aspects of his success in the sport are his amazing genetics and hard training. Sports pharmacology also helped him enlarge his already huge muscles. Even in the oldest photos of the athlete you can find him as muscular as he was in his prime. , let’s take a peek at the reason which led to his present condition. His present condition is that he has built up many injuries over his long and distinguished career. His being unable to walk was the aftermath of a back surgery (he has had back surgery multiple times). 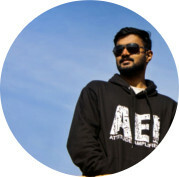 In 2014, doctors implanted him with a hip joint prosthesis, and at the end of that year they operated on his other thigh. In addition, the athlete underwent several operations related to the hernia of the lumbosacral spine. Here’s a list of the few surgeries he had undergone among many other surgeries which are not documented. Well let’s see what lead to such a catastrophe. There are many theories; let’s take a few from them. 1-He actually exploded a vertebrae disc while squatting something supernatural like 500lbs+ even after it exploded. He finished his workout in pain and then went to the ER. He had to have surgery to replace the exploded vertebrae discs. A few were exploded and worn down. 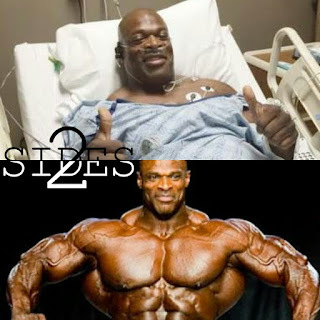 2-Ronnie Coleman also suffered at one point from enlarged male bust and an extremely large stomach, both of which were the result of drugs he used to build his body. Well, commenting on (1), do you know why the pro bodybuilders these days use high rep ranges in their exercises? It’s because the amount of steroids they’re on allows their muscles to grow no matter what type of stimulus they receive. When a muscle grows past its natural limit thanks to the steroids, they become stronger than the tendons, ligaments and other connective tissues they’re connected to. In the case of Ronnie Coleman, he either ignored this idea or was unaware of it and was always pushing his enhanced strength to the limit, far past what his joints were capable of, as seen in his feats of squatting 800 pounds and other leg press antics. He pushed past what his body was built for due to a lack of knowledge and the help of exogenous anabolic steroids. Commenting on (2), many may call him a cheater but bear in mind all the professionals take steroids and he did whatever it takes to become the best in the world, very few could handle what he had to deal with . For a long time, Ronnie Coleman did not want to admit that he had been using steroids. The service in the police forced him to adhere to the laws and regulations of the United States or, at least, to pretend that he adhered. Therefore, the athlete had to deny that in his sports career he used steroid anabolic drugs. Ronnie Coleman knew very well how to use steroids correctly. And of course, he used PCT steroids . But this did not protect him from health problems. Of course, it wasn’t only steroids that affected Ronnie’s health. He put himself under tremendous strain in the gym. But, you see, the athlete could hardly deal with such huge weights without using steroids. NOW, LET’S SEE THE ANSWER TO THE QUESTION HE WAS ASKED. If you had a chance to do it all over again would you change anything? If I had a chance to do it all over again would I change anything? Yes if I had a chance to do it all over again I would change one thing. That is when I squatted that 800lbs I would do 4 reps instead of 2, that is my only regret in my career. Those 2 reps I did still haunts me today because I know I had 4 in me but the coward in me only did 2. That is my only regret.